SLR provides environmental scientific and engineering services to government and private clients across the transportation, infrastructure, waste management and government works sectors. Project Development Support: we work closely with our clients to design energy, waste and water projects that take into account a whole-of-life cycle approach. Maintenance and operational characteristics are optimised along with the capital costs. Feasibility Studies: SLR works with clients to assure that considered process changes are feasible with respect to near term and long term environmental permitting requirements. Wastewater Engineering: SLR provides support in the design, construct, and operation of process wastewater systems and system upgrades. Civil Engineering, Pollution Control and Architecture Evaluation: SLR provides technical support in the physical expansion or decommissioning of facilities which includes review and selection of pollution control technologies and equipment. Experienced team with diverse experience with a wide range of industries including petroleum refining, oil exploration, environmental contracting, energy, forest products, chemicals, processing contracting and general manufacturing as well as former environmental regulators. Matching Project Objectives with Business Objectives: SLR assures that clients’ business drivers and objectives such as such as cash flow management and critical production times are integrated into the project strategy to minimize adverse impact to facility operations. Full Life-Cycle Services: SLR provides support from initial planning of capital improvement projects through design and construct. Fuad is the Sector Leader for Infrastructure for SLR’s African Operations. He has more than 16 years’ experience in a wide range of environmental disciplines, including environmental impact assessments, environmental management plans/programmes, environmental auditing & monitoring, environmental control officer services, and public consultation & facilitation. 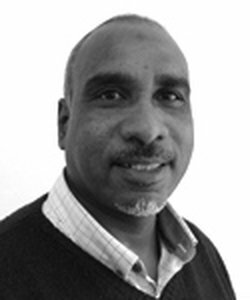 Fuad has been responsible for management and quality control of environmental assessments dealing with a number of highly complex and controversial projects, such as the proposed toll roads on some of the national routes in South Africa. He has also managed the environmental assessment of major road development proposals in Mauritius. Fuad also has extensive experience in the environmental assessment, monitoring and auditing of projects related to railway facilities, landfill sites, wastewater treatment facilities, and water and sewage infrastructure. Prior to his entry into environmental consulting, Fuad worked in the Environmental Education field where he was responsible for the development and implementation of various Environmental Education programmes at primary, secondary and tertiary education levels. Alex's experience in the Infrastructure sector includes some of the largest projects underway in Australia, working for a range of government and private-sector clients. 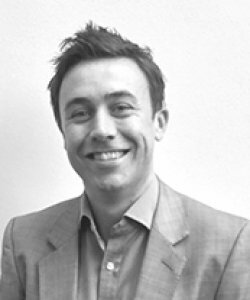 As an Acoustic Engineer Alex specialises in architectural and building acoustics; environmental impact assessments; building services noise control; and vibration assessments and mitigation measures. More recently he has carried out environmental assessments on key projects including Sydney Metro Northwest and was the Acoustic Project Director on the Caulfield to Dandenong Level Crossing Removal Project. Alex is a Chartered Professional Engineer and is an active member of Engineers Australia and the Australian Acoustic Society. 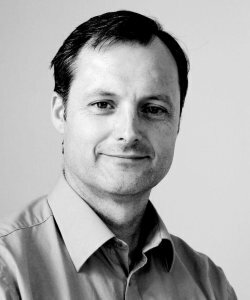 Dr. Croft has fifteen years of experience encompassing design, project management, acoustic consulting and collaborative research with industry. Her experience includes the measurement, modelling, assessment and control of noise and vibration emissions from industry, ports, mines, railways, roads, airports and construction sites. Briony has been based in Vancouver since 2014. Prior to joining SLR in Australia in 2009, Briony spent four years as a staff researcher at the Institute of Sound and Vibration Research (ISVR) at the University of Southampton in the UK. During this time she worked on several collaborative transportation noise research projects funded by the European Union. She registered as a part-time PhD student, and was awarded her doctorate in 2009. In addition to projects involving “terrestrial” acoustic impacts on people and wildlife, Briony is also involved in underwater noise and vibration impact assessment, particularly the prediction of underwater construction noise propagation and impacts of blasting and construction on marine fauna. She has provided acoustic support in the planning, development, construction and operational stages of numerous projects in Australia and North America. 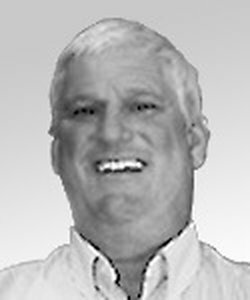 Jay Russell has over 20 years of professional experience working with a wide range of environmental and site development projects throughout the US. He has experience providing strategic project management to successfully address our clients’ development concerns, and address liabilities from litigation and state and federal regulatory enforcement. Mr. Russell has provided consulting services to many business sectors including forest products, pulp and paper, metals casting, composite fiberglass, oil and gas, paint, and various manufacturing industries.